A couple of months ago, w hile I was visiting Borneo, I was looking at the Swara blog interface and wondering if there was some way to make it more exciting and informative, so that even people who didn’t necessarily want to wade through audio files could still get a clear visual snapshot of the subjects being discussed. The usual ideas like tag clouds and slide shows would do part of the trick, but what I really wanted was a geographic representation of the data, so that viewers (including us at Swara) could tell where the content was coming from and who were the people generating it. Still pretty new to the social tech space, I resorted to Google and a few searches on the lines of “map data visualization” threw up Ushahidi. 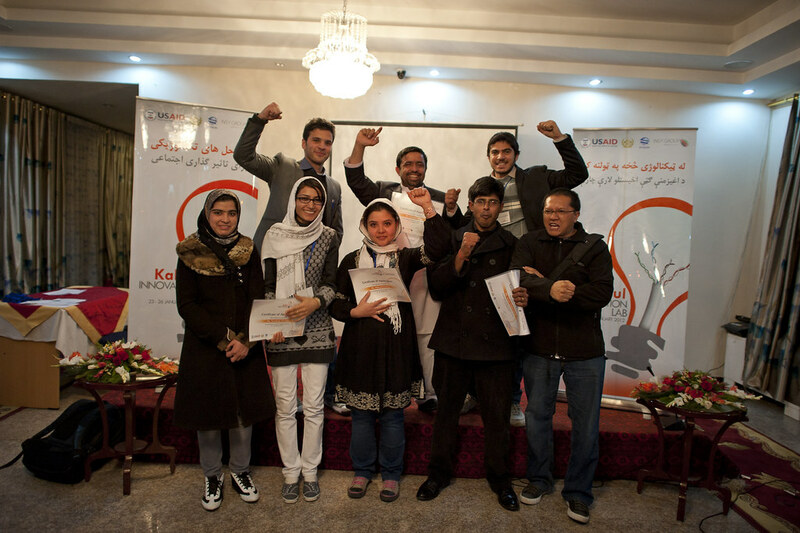 The Kabul Innovation Lab (Jan 23-26) in Kabul was a rare privilege for me to attend. I was invited to the event by Internews, with whom I have been engaging since deploying Swara at RuaiTV in Pontianak, Indonesia. Earlier this month I turned on the first of what I hope will be many “hyperlocal” deployments of the Swara platform at Jan Swasthya Sahyog in Ganiyari village, just outside Bilaspur in Chhatisgarh (Central India).The platform will be used by the community health workers associated with JSS, to record health related information from the field using their mobile phones. Human beings are the only species on earth with the ability to communicate complex ideas through language. Speaking and listening have been the basis of human society since people started living in communities. In fact, the words “community” and “communication” share a common etymology.